Madjidan comes from humble beginnings, born and raised in Paramaribo, Suriname. Her father passed away when Madjidan was 11 years old, leaving her mother to raise eight children on her own. As a result, a few of the children – Madjidan included – took on jobs to support the family, leaving no time for an education. Marrying at the age of 16, the young woman slowly moved up in the world. Life became more luxurious, and she and her husband started a family. Over the years, she developed a love for cooking, even having the opportunity to enroll in a cooking course. In 1975, Madjidan, her husband, and their children moved to Amsterdam, following in the footsteps of numerous extended family members who already made the leap abroad. They dreamed of opening a business of their own, and on April 17, 1981, Restaurant Riaz became a reality. 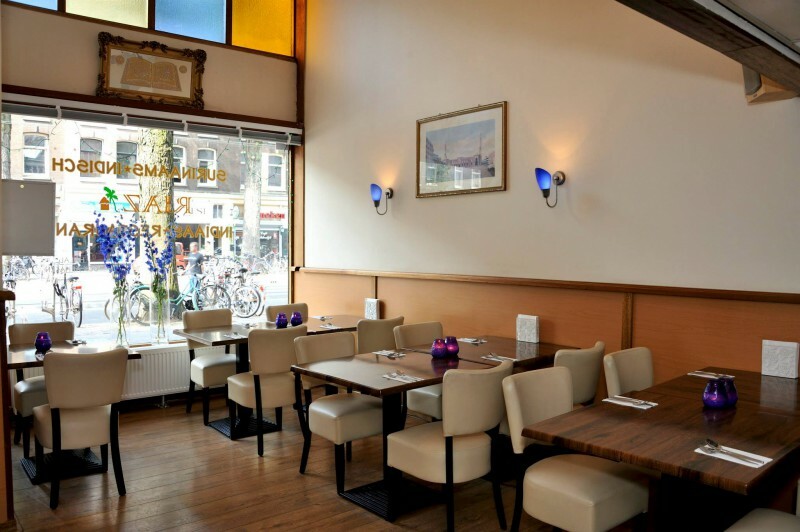 The establishment was not only one of the first Surinamese places in Amsterdam, but also one that follows Islamic principles. What started with only four or five tables and a small hole-in-the-wall kitchen has since expanded into a large, popular establishment known for its incredible roti.